My Grandma made the best pear preserves during "Canning Season". She never used fancy, tender, store bought pears. She always had pear trees in her yard and the pears were kind of like her – old fashioned, home grown, and tough but oh so sweet. 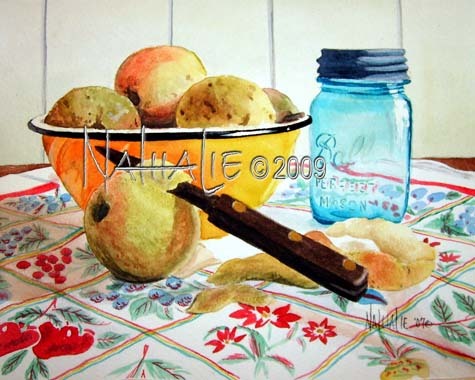 There was always a jar of her famous preserves on her table. Pear preserves, warm biscuits, and melting butter, yum! What memories.I wasn’t prepared went she left and took her recipe to heaven with her. Now, I just savor the memory. Thanks, Grandma!! !